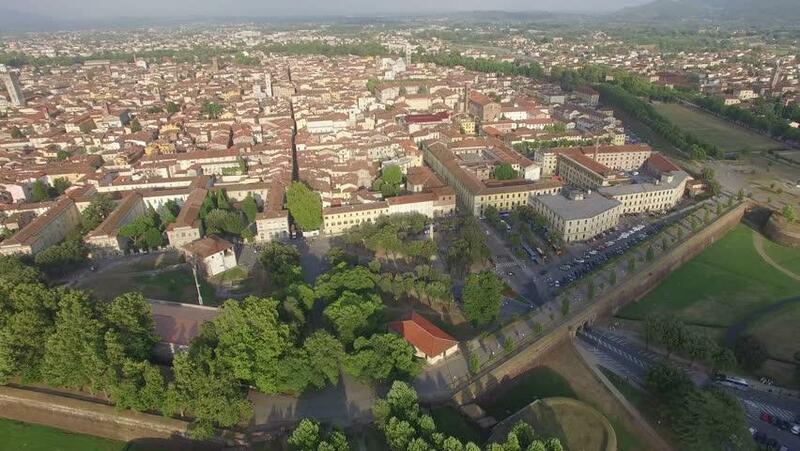 LIFE ASPIRE will be implemented in Lucca historic city centre within the Limited Traffic Zone (LTZ). Lucca represents a typical European town of mid to small dimensions, with common problems related to city logistics: air quality impacts – CO2 and “secondary pollutants” emissions, PM10, noise, energy consumption, etc. As well known, these aspects have serious negative effects on health and well-being of the population, in particular on the most vulnerable citizens (i.e. children, elderly people). LIFE ASPIRE project aims to achieve real improvements of air quality in the urban area of Lucca by demonstrating new city logistics policies, services and enforcement measures that lead to a significant reduction of traffic congestion and emissions of freight vehicles in city centre. The ultimate goal, in the case of Lucca, is in fact to reduce environmental impacts of freight transport in the historical city centre and to stimulate a transformation of the local transports system. In other words, the project wants to reduce the number of accesses to the LTZ and to pave the way to more eco-sustainable logistics practices compared to the ones currently used.